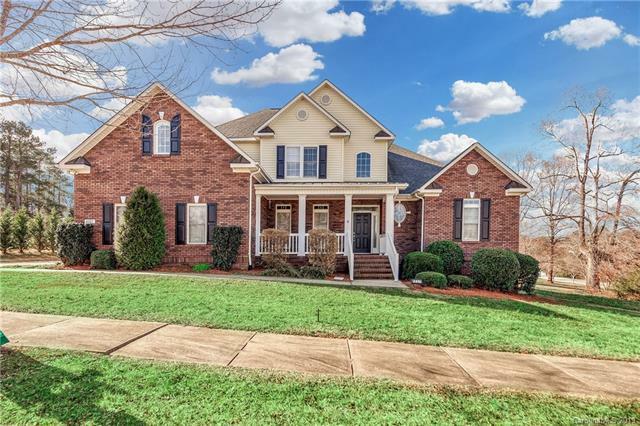 Beautiful Home with 4 Bedrooms and 3 baths in Conover. Large main level includes master suite, additional bedroom, a 2nd full bathroom, completely updated kitchen with all new stainless Bosch appliances, 2-story great room, dining Room, breakfast area, and laundry room. Master suit includes trey ceilings, large closet, tiled floors, walk-in shower, and large soaking tub. Enjoy this open floorplan with great room open to an updated kitchen and dining room. Kitchen offers granite countertops, lovely backsplash, pantry, island, and stainless steel appliances. Upstairs there are 2 bedrooms, bonus Room, and a full bathroom. Home is situated on a large, level lot with freshly painted back deck. Attached double-car garage. Updates include: All New kitchen appliances, kitchen island, kitchen backsplash, pantry cabinetry, refinished cabinets, upstairs A/C unit, paint throughout, and plantation shutters!